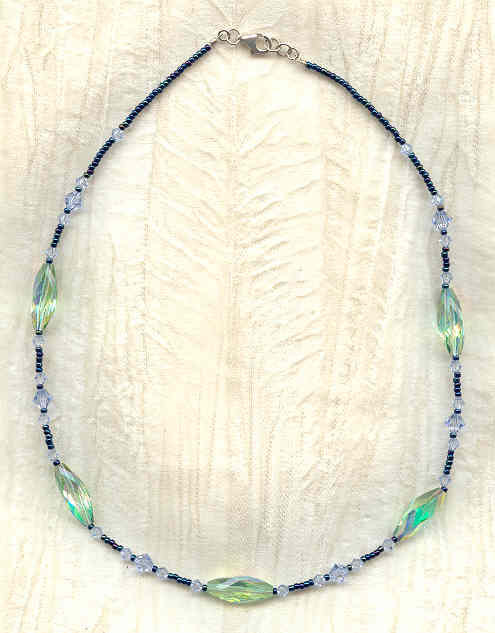 In this unusual crystal necklace, long, tapered oval pale green ('chrysolite') Swarovski crystal beads twinkle flirtatiously in the least bit of light. These vintage coquettes are flanked with contemporary Swarovski crystals in a beguiling ice blue colour. It's as bright and filled with light as the legendary land for which it's named. The 18-inch strand closes with a sterling silver lobsterclaw. It's another beautiful crystal necklace from SPARKLE PLENTY. 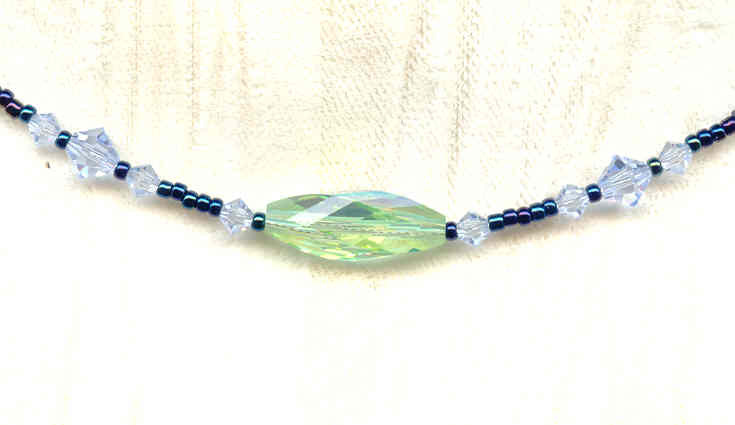 This truly one of a kind necklace shimmers with silver foiled Miriam Haskell beads and matching bead caps. Deep red, spring green and dark pine green Swarovski crystals combine with brightly colored cane glass in these romantic dangle earrings.